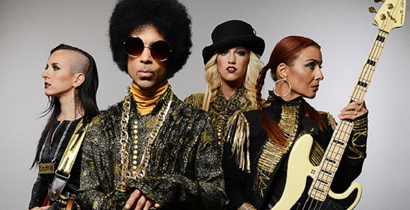 Iconic American singer-songwriter, multi-instrumentalist and actor, Prince - alongside his new all-girl backing band, 3rdEyeGirl - is to headline four arena shows in different UK cities later this month. Tickets will go on sale at midday tomorrow (Friday 2nd May) priced from £65. Prince has had thirty Top 40 singles and ten platinum albums since the launch of his career in 1978. After leaving the Warner Bros record label eighteen years ago, amid much controversy when he rushed the release of five albums in two years to free himself from his contractual obligations, he has now re-signed a landmark record deal with the label! The deal will involve new music as well as allowing Prince to regain control of his back catalogue. A deluxe edition of his ‘Purple Rain’ album will also be released later this year to mark its 30th anniversary. ‘Purple Rain’, which served as the soundtrack album for the film of the same name, has often been voted one of the best albums in music history in various polls. A string of intimate ‘secret’ gigs were held in London and Manchester back in February to promote his upcoming album ‘Plectrum Electrum’. This, together with an appearance at the Brit Awards, will no doubt have helped Prince receive the coverage he wanted ahead of this full tour and new album release. The Prince and 3rdEyeGirl UK tour will begin in Birmingham on the 15th of May and visit a small total of just four venues. Although it is currently scheduled to end in Leeds on the 23rd May, there have been rumours that further shows may be added to extend the tour. This will be Prince’s first ever performance in the city of Leeds and it has be around twenty years since he last played in Birmingham and Glasgow. The tour is the musician’s first UK regional arena tour since 1995 and the shows will be his first large-scale gigs in the country since 2007 when he played a string of dates at the O2 Arena in London.